Welcome to the weekend! We’ve got a few minutes to chill with you this morning so, how about a peek at one of our hometown of Muskegon Michigan’s greatest treasures. The USS Silversides. The USS Silversides was commissioned on December 15th 1941 and served in the Pacific theater of WWII racking up 23 sunken ships to her credit! Only one American was lost on the submarine during her time. 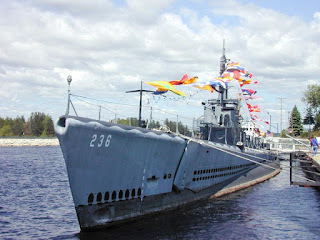 The 23 sunk made the Silversides the 3rd most lethal submarine in the Navy. The Silversides is also has the most prolific combat record of any still extant United States Submarine. Today, the Silversides is painstakingly taken care of in the Muskegon Channel between Lake Michigan and Muskegon Lake and is available for tours, overnights and a history lesson or two for those younger people who may like an adventure. 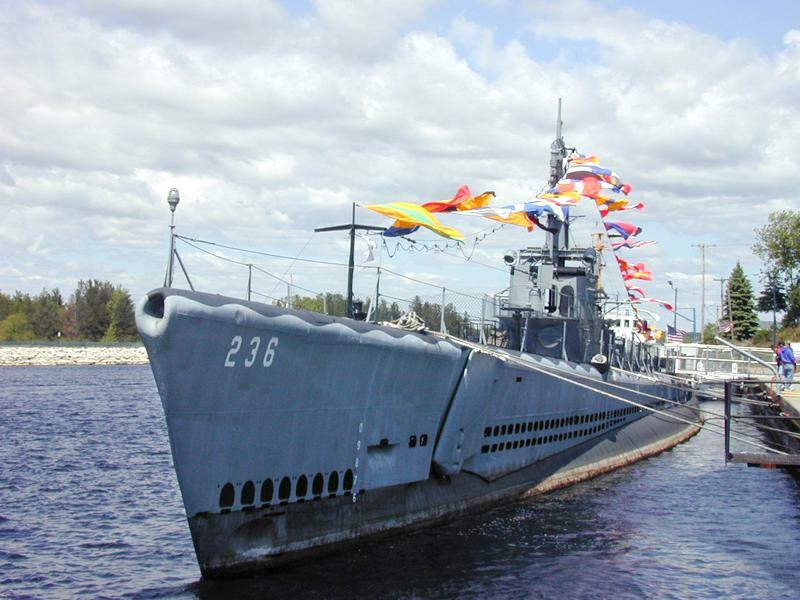 The USS Silversides Museum is a growing monument to our military service men and women. They work hard to bring in interesting speakers, special exhibits and maritime artifacts. You can take a self-guided tour through her quarters and see, smell and feel just what it was like for our “Greatest Generation” to have served on this amazing ship. You can also tour the Coast Guard Cutter McClane also located at the Silversides Memorial. We are proud to have a National Landmark here in Muskegon. If you like, you can watch this video produced by our blogger a couple years ago to learn a little more and take a peek through her hallowed hull. We’d recommend you come take a look for yourself though, and bring the family for a nice day out, and a lesson on what life was like on board the USS Silversides.